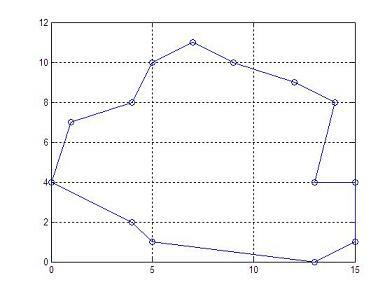 This program calculates the area of a polygon, using Matlab . You must supply the x and y coordinates of all vertices. Coordinates must be entered in order of successive vertices. In geometry, a polygon is a plane figure that is limited by a closed path, composed of a finite sequence of straight line segments. Note that the first and last vertices are the same, to close the polygon area. 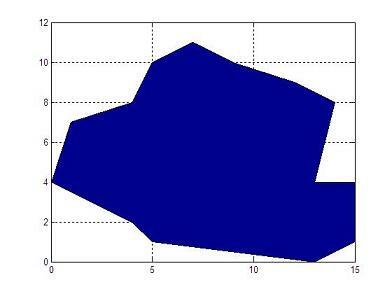 We can plot this polygon in Matlab very easily. Now, we prepare a function with the vertices in input vectors x and y. The output scalar variable is p_area.